Diffusion provides a very high-performance Subversion browser, a moderately high-performance Git browser and a relatively usable Mercurial browser. Phabricator uses daemons which track repositories, discover new commits, and parse and import them. You can either import already hosted repositories or host your repository with Phabricator. Diffusion can browse and host Subversion, Git, and Mercurial repositories. Diffusion lets users navigate commit history, navigate the file system, see the history of changes for a given file, quickly jump to source files from function definitions, even link to authors and Differential Revisions. 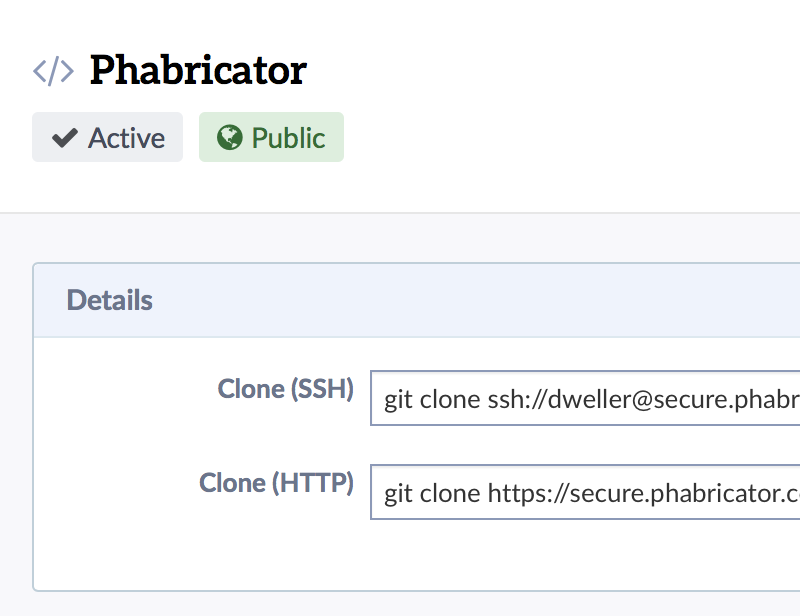 Learn more about hosting repositories in Phabricator. 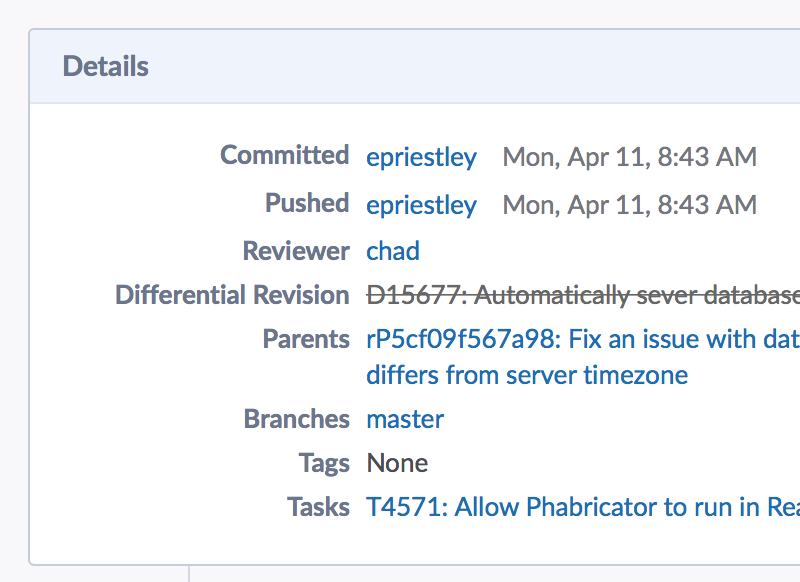 Phacility builds and maintains the open source project Phabricator.